One of our favourite hoodies and a best seller for some time now. 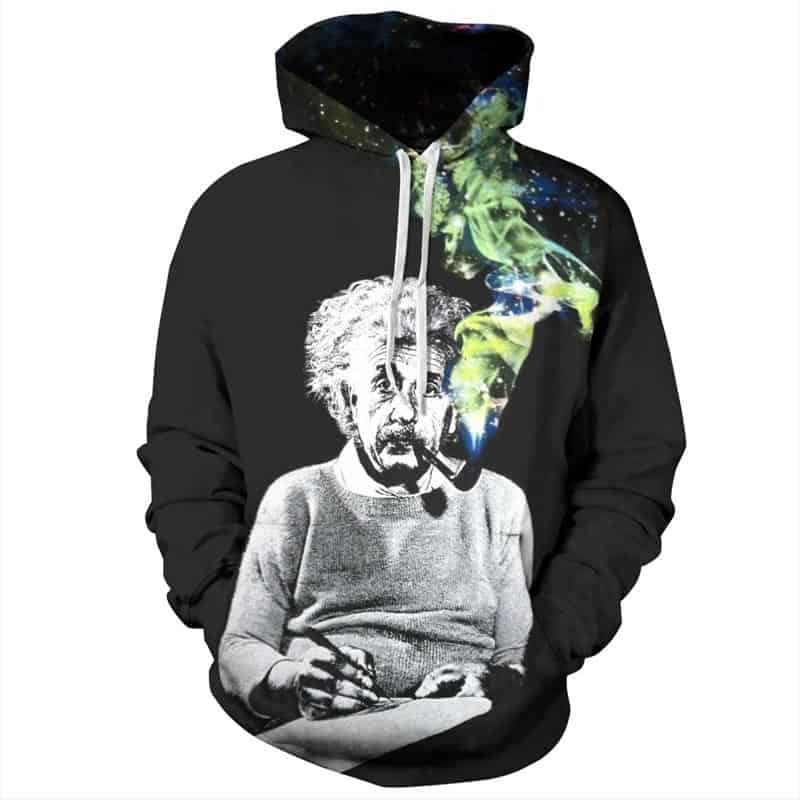 This interesting Smoking Einstein Hoodie is a cool concept. 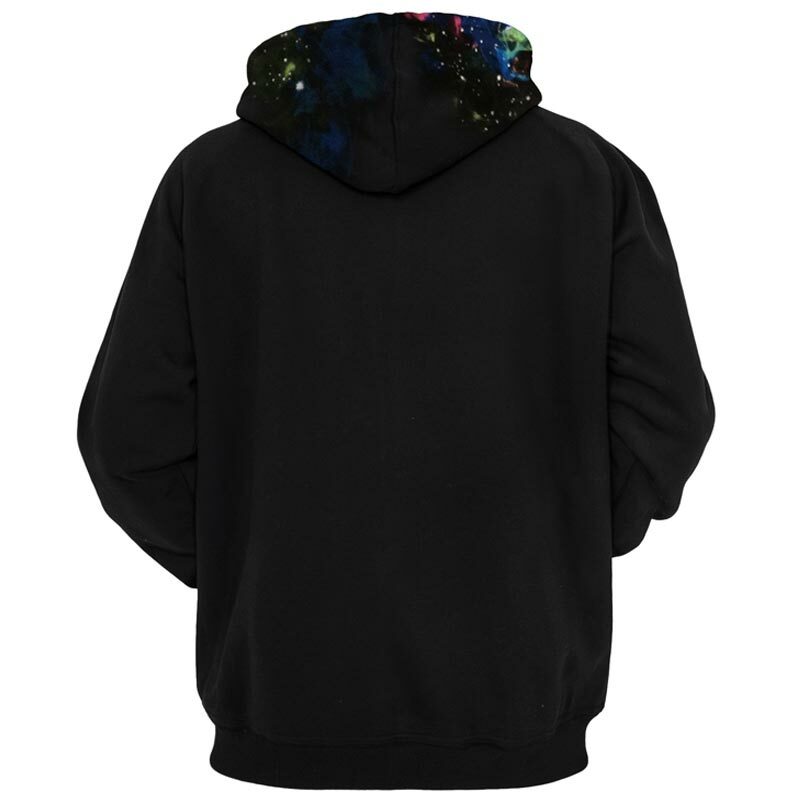 The design is trendy, featuring the man himself smoking with the galaxy coming out on a black hoodie. If you are a lover of science, then this is the hoodie for you. The hoodie is comfortable to wear, looks fashionable and is wearable anywhere. It was designed for both male and female. If you are still unsure about what size to get, you may provide us with your weight, height and waist information and we can help you choose the correct size. To do this, please contact our customer support team at sal[email protected]. The goods are good, size approached, there is no smell. Nice product for a sweet price. Fast delivery. Thanks! the product ė good the print ė lovely but not moleton. the material ė knitted cold. store ran out of product during saleI ordered in, but the seller was quick to stay in contact and take care of everything very kindly and quickly! bit big on me invited l and me normally wears s .. quality of canvas is nylon and color is dark green no black .. very beautiful but ששמים on the body! The fabric is not warm as I thought, it’s really fresh and quite luminous, instead of being a black hoddie it is navy blue. But I LOVE IT! THIS HODDIE IS WORTH EVERY PENY, GOD!! long 4 stars because of delivery. капюшонка тоненькая, but it is nothing feedback with такому was ready. print. брала gift, really liked парню!